Currently there are still 2.3 billion people in the world without access to basic toilets. But hopefully this statistic will drop drastically after the Nano Membrane Toilet is brought to the areas which need it most. These areas do not have the infrastructure to support toilets that require running water, but this model of toilet is able to treat human waste on-site without water. And the system only costs households 5 US cents per day. Cranfield University in the UK has developed the Nano Membrane Toilet, a contained system which uses a rotating barrier to “flush” both solid and liquid waste into a receptacle below – all the while blocking odor. Sedimentation will separate the two waste products and, once the liquid waste becomes a vapor, it is transported to a chamber with novel “nano-coated hydrophilic beads.” It is here that the vapor becomes water that is stored and able to be used for household and gardening purposes. The solid waste is driven up using an archimedes screw and coated in paraffin wax for future, “pathogen-free” disposal. This process also creates energy to fuel the other processes of the toilet, though a hand crank will also be available for manual powering. 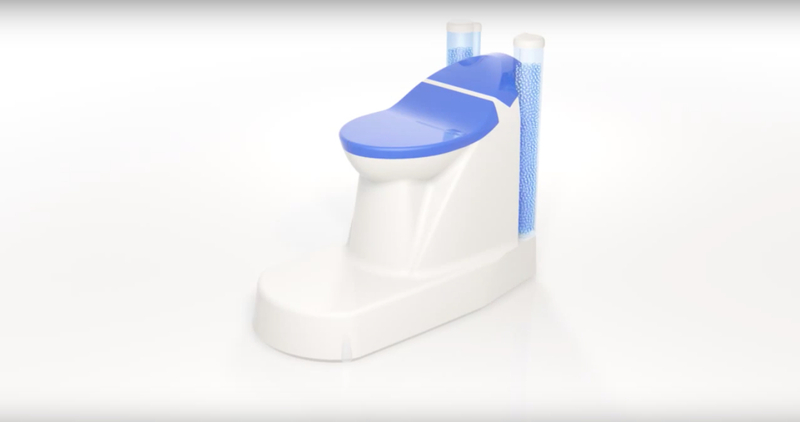 The Nano Membrane toilet will likely begin its first trials in western Africa, specifically in Ghana. The commodes can be delivered to rural homes and maintained by a weekly visit by a trained operative, who collects the solid waste and can perform maintenance tasks. 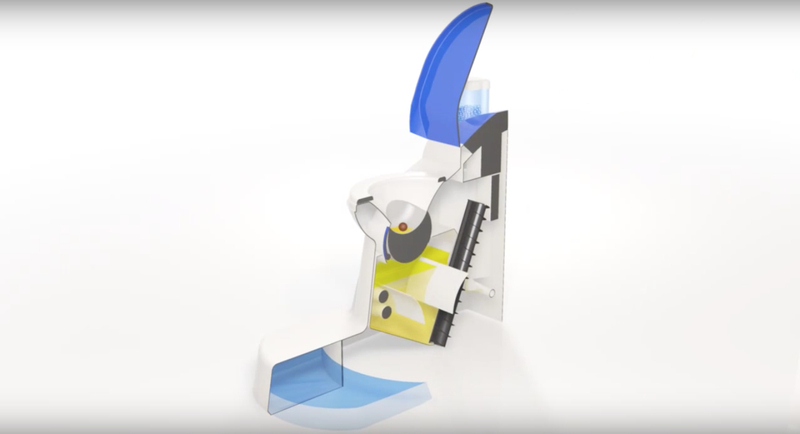 The invention came in response to the Bill & Melinda Gates Foundation’s Reinvent the Toilet Challenge in 2011 and will hopefully successfully pass its trials and be ready for sale in coming years. The Nano Membrane Toilet is completely waterless. Cranfield University's Nano Membrane Toilet could revolutionize worldwide hygiene needs.